A feeding / dysphagia evaluation is an evaluation in which your child’s feeding and swallowing abilities are assessed. 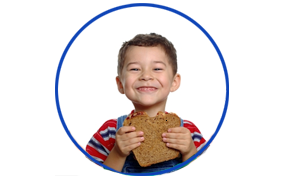 After a thorough evaluation of the structure of your child’s oral musculature, we will evaluate the function of your child’s oral musculature during eating. We will make sure that the oral motor and sensory systems are intact and not interfering with or contributing to your child’s feeding and swallowing problems. We also look at your child’s overall muscle tone, respiration and phonation, ribcage development and movement, indicators of reflux, allergy or other GI issues, and behaviors that may pertain to feeding and swallowing. (the entrance of food/liquid into the airway). These dangerous conditions can result in coughing and choking, frequent illnesses including colds and congestion and breathing problems. If these issues are suspected, a modified barium swallow study will be recommended. Feeding and dysphagia therapy goals are identified and established based on our thorough evaluations. All therapy is individualized to meet the needs of each patient and their family. Our therapy sessions are conducted with each individual’s needs in mind therefore fostering maximum potential. Parents are encouraged to participate in the sessions as appropriate. Home carryover and practice suggestions are offered after each session. We work closely with each infant or child’s family to ensure that their goals are addressed. Parents are encouraged to become part of our team. We value each parent’s feedback and input and develop close partnerships with our parents.